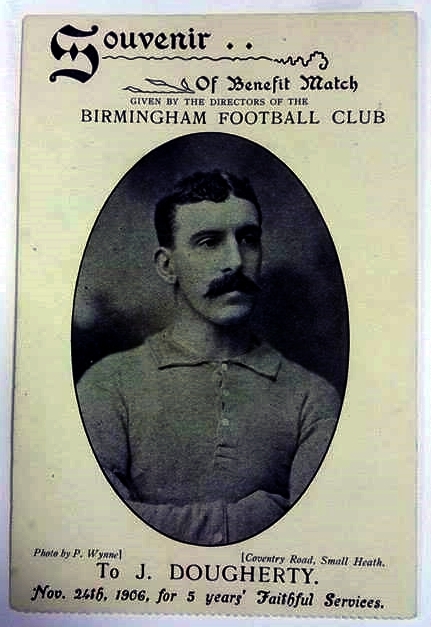 This souvenir postcard was given to Birmingham City’s Jim Dougherty by the former directors in honour of his 5 years service at the club in late 1906. He made 130 appearances for Small Heath, who were renamed Birmingham City in 1905, including 99 in the top flight. In 1908, he joined local rivals Coventry City. We are unable to find any information on the benefit match played on 24th November 1906.